February 4, 5 & 6, 1965. BB wrote “Eight years before the action of the play begins, King Henry V died leaving his son Henry VI King at the age of eight months. During the infancy of the new King, England and the lands held by her in France were ruled by Henry V’s two younger brothers, John Duke of Bedford and Humphrey Duke of Gloucester. Also prominent in the councils of the realm was the brothers’ uncle, Bishop Beaufort, later Cardinal of Winchester. It is hoped rather than known that Katherine married Owen Tudor, no documentary evidence exists, and historians are cautious on the subject. It is known however, that they had four children, and that their eldest son Edmund married the heiress Margaret Beaufort, a direct descendant of Edward III. It was the son of this marriage, Katherine and Owen’s grandson – who comes back into history in 1485 as the victorious Henry Vll, founder of the House of Tudor, at the end of the dynastic struggle known as the War of the Roses. THE cast for the Wick Theatre Company’s next production – The Queen and the Welshman by Rosemary Anne Sisson – was chosen this week. The play is set in the second quarter of the fifteenth century and deals with Queen Katherine, the young widow of Henry V, and the welsh soldier Owen Tudor. The plot is based on actual historical events, as far as they are known, making a well-constructed play with much charm and poignancy. Mrs Bess Blagden, of Southdown-road, Southwick, is the producer and she has been carefully researching the historical background, with particular reference to th costumes of the period. Her last production for the company was of Mr Bolfry a year and a half ago. The cast is Queen Katherine played by Jean Porter, Owen Tudor by Ian Elliott, John duke of Bedford by Peter Power, Humphrey, Duke of Gloucester by John Perrett, Villiers by Ralph Dawes, Rainault by Robert del Quiaro, Lady Margaret by Fay Sturt, Bishop Beaufort by David Goodger, Hall by Peter Elson, John by Paul Carpenter and Jailer by Ray Hopper. The two newcomers to the company are Peter Elson, newly moved to the area from Maidstone, who play the captain of Gloucester’s guard, and David Goodger, who recently played Professor Higgins in a production of Pygmalion at Sompting. This time he will take the part of the oldest character in the play, Henry V’s uncle Beaufort. The play will be presented at the Barn, Southwick-street, on February 4, 5 and 6 at 7.45p.m. 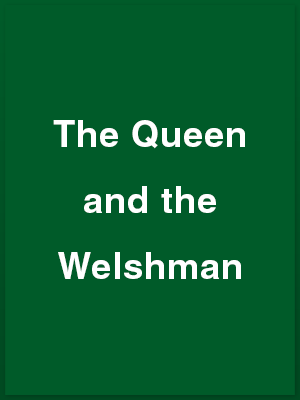 ON Thursday, Friday and Saturday of next week the Wick Theatre Company will be presenting an ambitious production of The Queen and the Welshman, by Rosemary Anne Sisson. The play, which will be at the Barn Theatre, Southwick Community Centre, is based on historical events, but it is not a history lesson. It deals with the love-match between Queen Katherine, the young widow of Henry V, and the Welsh soldier, Sir Owen Tudor. It is not known for sure whether Katherine and Owen married, but the author has taken this episode from the second quarter of the 15th century and made out of it a play of power and poignancy. Having chosen this play, the company has set itself several problems not encountered with many productions. Each of the cast of 11 – nine men and two women – has to have an authentic costume. This means voluminous dresses and headdresses for th women; doublets, tights and swords for the men. Apart from the problem of manoeuvring the actors in unfamiliar clothes, the director, Bess Blagden, and the cast have a range of emotion and atmosphere to convey. There are moments of gentle sensitivity and others of callous intrigue. Special music has been written for the songs in the play by Pat Johnson. The two actors who fight a duel have been taking lessons with Mr R. C. Allen, of Southwick Fencing Club, who arranged the fight. With this play, which poses such a challenge to actors and director, the Wick theatre Company hopes to keep to the standard of production which took its recent The Murder of Maria Marten to the final of the Sussex Full-Length Drama Festival in November. THE Wick Theatre Company appreciably increased its stature last weekend with three memorable performances of “The Queen and the Welshman,” by Rosemary Anne Sisson, at the Barn Theatre, Southwick. Here was the very stuff of good theatre – a tale worth telling, admirably told, imaginatively produced by Bess Blagden, with a hand-picked cast which measured up to the occasion both individually and as a whole. Indifferently acted, the play would have been a disaster. As it turned out, it was a decisive victory and no bones about it. This distant chapter in England’s history, in the first half of the 15th Century, was brought vividly back to life, enhanced by settings worthy of the occasion and period costumes as rich as any which have graced this stage. Power politics do not belong to this modern age alone, as this essentially human drama of the if-fated love of Queen Katherine, widow of King Henry V, and Sir Owen Tudor drove home with compelling realism. The play unfolded in an atmosphere of mounting suspense and foreboding, ran the whole gamut of man’s emotions, and closed on a note of high drama, fortunately never over-pedalled. Jean Porter’s study of the largely unhappy Queen was brilliantly interpreted, invested with a regality which never obscured the troubled heart of the woman beating beneath the rich trappings of age. Equally fine was Ina Elliott’s Sir Owen, a sustained piece of acting craftsmanship which, in so many moods, rang true to the worthy character of the man. He was more than equal to all the demands of the rôle. Villiers, the schemer and informer, bent on Sir Owen’s destruction, was played with skill by Ralph Dawes, and acting of the same high calibre was seen in Robert del Quiaro’s portrayal of Rainault, the Frenchman staunch to Sir Owen to the last. Fay Sturt, as Margaret, the Queen’s attendant, brought a warm reality to her rôle, and the Dukes of Bedford and Gloucester came vividly to life at the hands of Peter Power and John Perrett. Worthily completing the cast were, David Goodger [Beaufort], Paul Carpenter [John], Peter Elson [Hall] and Ray Hopper, whose jailer was gem of light relief and who also appeared as the minstrel. Scenery, designed by John Perrett, was executed by W H Blagden and members of the company; the wardrobe was by Morfydd Bowen, with additional costumes by Nicky Leroy; properties were by Margaret Perrett; and Frances Thorne was stage manager. Lighting was by Frank Hurrell and sound effects by Dorothy Burnside, and the musical director was Pat Johnson, who wrote music for the production. For the dramatic sword fight Villiers and Rainault were trained by R C H Allen of Southwick Fencing Club. Bess Blagden produced the three-act, scenically complex slice of 15th Century English history, woven around the love story of Katherine de Valois, widow of King Henry V, and Sir Owen Tudor, who was beheaded in 1461. Sir Owen’s grandson became the founder of the House of Tudor when, in 1485, he became King Henry VII at the end of the dynastic conflict known as the Wars of the Roses. Quite apart from the eminently suitable music chosen to entertain the audience [which include the famous Thomas Tallis theme and Reinecke’s Concerto for Harp in E minor], Pat Johnson had written music specially for the production, and Mr. R C H Allen, of the Southwick Fencing Club, arranged the realistic fighting. Costumes throughout were beautifully authentic. Scenery was equally captivating , particularly the realistic ‘stone’ columns at the Palace of Westminster and the tapestry at Hatfield House. Against this background, which must have presented many problems, Jean Porter and Ian Elliott moved with queenly dignity and manly presence, she as the lovelorn Katherine, he as the Welsh commoner both sublimated and abashed by his love for the young royal widow. As the curtain rose, Ray Hopper, who later played a jailer, sent the spirit winging to medieval times with his minstrel music, and one felt pleased that the lonely queen had Fay Sturt as woman companion Margaret, and Paul Carpenter as manservant John, to support her in a world of bewilderment and intrigue. A dash of French spice was introduced by Robert del Quiaro as Owen Tudor’s over-talkative friend, Rainault, and Ralph Dawes made our flesh creep as the spying, trouble-mongering Villiers. Peter Elson was a dignified Hall, and Peter Power added a paternal gentleness to his surname, particularly when dealing with the Queen. John Perrett was less susceptible to kindly influences as Humphrey, Duke of Gloucester, and David Goodger successfully projected the ascetic image of Henry Beaufort, later Cardinal of Winchester. The play was aptly described by Bess Blagden as “rather a change from what we usually do.” It was certainly that, but well in the tradition set up by this accomplished band of players. THE recent production by the Wick Theatre Company of “The Queen and the Welshman” by Rosemary Anne Sisson was yet another remarkable achievement by this company. In a play in which all parts were well played, two deserve especial comment: they were Jean Porter as Queen Katherine and Ralph Dawes as the spy, Villiers. With Queen Katherine we were happy, sad, despairing and ill, and the quality of Jean Porter’s characterisation is reflected in the way in which we of the audience were able to identify ourselves with her. Ralph Dawes gave us a relaxed and spiteful villain, a damned smiling villain. I could have believe a little more readily in Ian Elliott’s Sir Owen Tudor if he had given us some inflection, some suggestion that he was a Welsh soldier and not an English courtier. This aside, however, he played the part well and with a nice sincerity. John Perrett as Humphrey, Duke of Gloucester, was not big enough in his rages. His calmer moments were telling, but his storms were ineffectual. Robert del Quiaro was the Frenchman, Rainault, unable to hold his tongue, David Goodger lent a fine dignity to the political Bishop, Henry Beaufort. Fay Sturt was the very charming lady-in-waiting, Margaret, Ray Hopper was both a minstrel and a gaoler, and other parts were played by Paul Carpenter, Peter Elson and Peter Power. Production was by Bess Blagden and suitable music had been composed for the production by Patrick Johnson. The setting, designed by John Perrett, was realistic and economical. Altogether this was a satisfying production which maintained the high standard which this company have set.